by Leila Morris • Consumers, brokers, and even carriers are struggling to adjust to the Affordable Care Act (ACA.) That is the takeaway from California Health Underwriters’ (CAHU) recent conference in Universal City, Calif. But, in California, the message is that it could have been worse. by Chris Swanker • While the SHOP solution may not be right for every client, it does provide affordable options for business owners seeking t o enhance their benefit package. by Michael Cho • How the new public and private exchanges will fundamentally change how health care products are sold, bought, and paid for. by Ron Goldstein • Our industry will see many new exchange options in the market, but these new products will follow the lead of the more established programs that have set the tone for years. by Kyle Rice • Today’s low interest rates have triggered insurers that provide life insurance and annuities to make some important decisions. by Leila Morris • This survey of insurance carriers helps California insurance agents and brokers stay on top of plan changes from year to year. by Mark Lambert • Vision is so highly tied to wellness that it makes sense intuitively, but having analytics that demonstrate the impact for a specific workforce will certainly be eye-opening. by Ken Morris • Warren Buffett, along with other large institutional investment banks, have invested in life settlements not only because they help seniors, but also because the investment is immune to changes in interest rates and uncorrelated to fluctuations in equity, commodity, and real estate markets. by Mark Roberts • There are different dental plan options in today’s market and some new ones coming in light of the Affordable Care Act (ACA). Consumers, brokers, and even carriers are struggling to adjust to the Affordable Care Act (ACA.) That is the takeaway from California Health Underwriters’ (CAHU) recent conference in Universal City, Calif. But, in California, the message is that it could have been worse. President elect of CAHU, Patrick Burns said that CAHU was able to get important concessions for brokers in the state. The audience applauded loudly when he said that the commission cap has been removed for groups of over 50 employees. Burns added that, “Even if there is a state budget shutdown you will continue to get paid.” Burns said he expects almost all CAHU agents to be certified with Covered California. • AB 18 would establish a medical loss ratio for pediatric dental plans of 75%. • AB 889 changes requirements on use of step therapies in health plans. • AB 1082 would require all employers to add new information in the paycheck stub about the amount of health care coverage provided an employee per paycheck. • AB 1355 — CAHU is working with a business coalition to address concerns regarding possible limited liability company (LLC) lawsuit exposure for acts of agents or employees. • SB 320 would establish a new coverage mandate for acquired brain injuries. Belote said that Governor Jerry Brown believes that California is over legislated. “His philosophy is that not every human wrong deserves a bill. He believes in a conservative budget.” Belote expects Brown to be reelected easily. Belote said that, for the first time, California’s legislature is completely dominated by Democrats. Interestingly, California’s political system has been pushed more to the middle. Legislators are more likely to cast votes reflecting views of the majority of voters due changes in primary voting rules. Belote said, “The most important state ­agency to us is Covered California. In my judgment, you are being listened to.” He added that rate regulation will continue to be a major battle. Belote said that there will be a ballot initiative to raise the $250,000 award limits for malpractice suits. But it may not be popular in the midst of health reform. He stressed that 2014 will be a pivotal year with issues related to CAHU. Crosby noted that many exchange plans will have narrow networks — some can even be classified as anorexic. Representatives of Kaiser, United, and SeeChange do not see any reduction in their network providers for plans in the exchange. But other carriers are offering exchange plans with slim networks ranging from 30% to 50% of the plans they offer outside of the exchange. Carrier executives used words like “tortuous” or “nightmare” to describe how hard it has been to cope with regulations that require them to make last minute plan changes. They are also strugging to keep up with high call volumes. Welcome to the 17th annual agents’ guide to managed care. Each year California Broker surveys health maintenance organizations (HMOs) in the state with direct questions about their plans. We then present the answers to such questions here for you—the professional agent or broker. We hope that this valuable information will help you serve your savvy healthcare clients better. 39. What are your grievance procedures? Aetna: Our customer service professionals can respond to most issues by phone. If the issue cannot be resolved during the call, the customer service professional researches the inquiry and then responds to the member. Our goal is to respond to all inquiries in 15 business days. Members who are not satisfied with the response can file an oral or written grievance. We will forward a written notice stating the result of the review to the member in 30 business days of receiving the grievance. The decision is final and binding unless, in 30 days, the member submits a written request of the notice of the grievance decision for a hearing by the hearing panel/grievance committee. The member’s next course of action is to request an external review. The external reviewer decides in 30 days of the request. Expedited reviews are available when a member’s physician certifies that a delay in service would jeopardize the member’s health. Once the review is complete, we abide by the decision of the external reviewer. The Complaints and Appeals Tracking System was developed to support our national grievances and appeals process. Expedited appeals are resolved as soon as possible to accommodate the patient’s condition and no longer than 72 hours from receipt. (Note: for further details, please contact Blue Shield. Cigna: Customers can call our customer service department or file a written complaint appeal. The complaint is investigated and reviewed in 30 days (when appropriate) and the customer is notified of the decision. An expedited appeal can be filed when the individual or health care professional is concerned with potential loss of life or health or the ability to gain maximum function. When necessary, procedures are modified to meet or exceed applicable regulatory and accreditation guidelines. Health Net of CA: When members complain about the quality of service provided by the plan or its participating practitioner, the grievance is documented and researched and an acknowledgement letter to the member is sent within five days. The hospital/ PPG/practitioner has seven days to respond to the grievance. The final resolution letter will be sent to the hospital/PPG/practitioner. If it takes longer than 30 days to resolve, a letter of explanation will be sent to the member. The grievance is documented when members complain about the direct provision of care or the quality of care by a participating practitioner. If the matter is urgent, it will be forwarded to a clinical specialist for immediate attention and resolution (if required, care will be provided to the member). An acknowledgement letter and medical records release form will be sent to the member within five days. The hospital/PPG/practitioner has seven days to respond to the grievance. Health Net will determine if the grievance can be resolved with the records at hand if the member does not provide out-of-plan records or if the medical record release form is not signed. If it can’t, the case is closed until all necessary information is provided. After review, a letter to the member will communicate the disposition. The final resolution letter will be sent to the hospital/PPG/practitioner. If the matter takes longer than 30 days to resolve, a letter will be sent to the member to explain the delay and provide an estimated resolution date. Kaiser Permanente: Our members can submit complaints to the member service representative at each medical facility and through the Member Services Call Center. Complaints are acknowledged within seven calendar days and a response made within 30 days. Our goal is for a complaint or grievance to be resolved within 60 days from the date it was received. An external, independent, third party review process is available to non-Medicare members who have completed the internal grievance/appeals process. United Healthcare: Our top priority is for members to receive the services they need. If a problem occurs we encourage members to contact our Customer Service department as their first source for resolution. This team will make every effort to find a solution to the member’s situation. If the situation requires additional action, the member may submit a formal complaint requesting an appeal or quality review. The following is a summary of our formal process for appealing a health care decision. The member must submit a grievance in writing within 180 days of the initial decision to: PacifiCare of California Appeals and Grievance Department. Additionally, members in California may file an appeal using the online grievance form available at www.pacificare.com. 40. What systems are in place for assessing participant satisfaction? Aetna: Member satisfaction is measured yearly at the network level using CAHPS 2.0H survey. The plan administers the most recent survey required by HEDIS to assess satisfaction. We also participate in the Consumer Assessment Survey to evaluate member satisfaction with IPA and Medical Groups. Blue Shield of California: Our Quality Management and Improvement Program is designed to comply with recognized industry requirements and standards established by the National Committee on Quality Assurance, Knox-Keene regulation, Department of Managed Healthcare, and the Center for Medicare & Medicaid Services. Our Quality Management Committee and the Board Quality Improvement Committee review and amend the program annually. We use HEDIS measures to monitor member satisfaction surveys, member inquiry analysis, disenrollment, member appeals, access to care and quality of service, and medical record audits and office site reviews. Cigna: Cigna uses the Consumer Assessment of Healthcare Providers and Systems (CAHPS) customer satisfaction survey, which asks consumers and patients to report on and evaluate their experiences with health care. It includes measuring satisfaction with medical groups and addresses utilization management, appointment wait times, office staff, etc. We continually monitor and work to improve customer satisfaction. Health Net of CA: Health Net offers customer support and satisfaction surveys for members, providers, employer clients, and brokers. Health Net also participates in the annual National Committee of Quality Assurance (NCQA) HEDIS – CAHPS Surveys and the Decision Power (disease management program) Satisfaction Survey. These reports are available to employer groups upon request. Additionally, Health Net conducts satisfaction surveys within our consultant and broker networks to ensure that we are meeting the needs of our clients. Health Net’s Customer Contact Center has implemented a post-call survey for all callers (members, providers, employers, and brokers) across all lines of business (Commercial, Medicare, and Medicaid). Health Net publishes an online Medical Group Comparison Report on www.healthnet.com that allows members to compare medical groups within the HMO network. Health Net provides members with a Hospital Comparison Report on www.healthnet.com. Kaiser Permanente: We conduct ongoing surveys to evaluate member and patient satisfaction with doctors, access to services, and quality of care. Survey feedback is disseminated throughout the organization to target areas for improvement. United Healthcare: PacifiCare uses the NCQA CAHPS annually to assess patient satisfaction with their care. Our satisfaction results are reported in our annual HEDIS results. CAHPS is a mail survey, which fulfills a component of the NCQA accreditation process. A telephone follow-up and interview occurs among non-responders per NCQA specifications. 41. Do you participate in outcomes research? Do you provide physician performance review data to the public? Aetna: Yes, HEDIS is available for public review through the California Cooperative HEDIS Reporting Initiative. Blue Shield of California: Yes, Blue Shield conducts outcomes research for disease management programs and participates in broader research efforts. Blue Shield is a sponsor/participant in IHA’s Pay for Performance project. Collaborative studies may be published. For example, the California Cooperative Healthcare Reporting Initiative and California’s Office of the Patient Advocate provides public reports of medical group performance and information technology measures. Cigna: Cigna is accredited by NCQA and participates in reporting HEDIS clinical outcome data, which is available for public review. Cigna also participates in the Integrated HealthCare Association’s Pay for Performance program. It provides data at the medical group level, which is reported to the public annually through the state’s Office of the Patient Advocate. Cigna also participates in the California HealthCare Foundation’s CHART hospital quality initiative. Through myCigna.com, the company offers an array of information to customers about the quality of health care professionals and facilities. Kaiser Permanente: The most recent developments in medical outcomes research are incorporated into our evidence-based Clinical Practice Guideline program, assessed by our New Technologies Committee, and incorporated into our extensive library system with online capabilities. In addition, our clinicians are involved in a broad scope of clinical, epidemiological, and health services research projects. We earned ratings of “Excellent” in the latest review by the National Committee for Quality Assurance and routinely earn high scores in outcomes based surveys, such as HEDIS, Leapfrog, and METEOR, which measure our member satisfaction. United Healthcare: Yes. Outcome results are incorporated into our provider group profile, which compares each provider group with network averages. We release these performance results to the public through our quality index profiles. The reports look at clinical, service and administrative quality measures. PacifiCare motivates provider compliance by intervening aggressively when deficiencies are found and by sharing best practices when excellence is identified. 42. Do you notify members when their PCP is no longer a member of the plan? How? Aetna: Yes, members are notified by letter. They are apprised of transition of care issues and instructed on how to select a new PCP. Blue Shield of California: Yes, Blue Shield provides written member communication of any network changes 60 days before the effective date of the change, as per Department of Managed Healthcare regulations. Cigna: If a PCP is no longer a network physician in our plan, customers are notified by mail about 60 days before the effective date of the change and are encouraged to choose a new PCP. Health Net of CA: Health Net Participating Physician Groups and individually contracted physicians are required, by contract, to notify us of any changes to the provider network including new physicians joining the PPG, address and telephone number changes, and physician terminations. Health Net notifies members when their PCP leaves the network or becomes affiliated with a different contracting PPG. Members can follow their PCP to a new contracting PPG. Members can choose a new PCP within the network or remain with their PPG if their PCP is no longer available in our network. When possible, members will receive a written notice within 30 to 60 days of the provider’s decision to leave the network. Provider listings are available at www.healthnet.com and are updated daily. Kaiser Permanente: Yes, each medical center has developed general protocols to facilitate the transition of care to another doctor. Members assigned to a PCP are provided notice of the PCP’s departure 60 days in advance when possible. Members who are scheduled to see the physician for outpatient care are contacted to reschedule with another plan doctor if prior notice to a member is not able to be provided due to timing of the physician’s departure. United Healthcare: Yes, PacifiCare sends a notification letter to all affected members 30 days prior to the termination date of a physician or medical group. The member selects a new PCP or medical group. If the member does not select a PCP or medical group within 30 days, we automatically assign a PCP or medical group that is geographically closest to their residence. If the member is unhappy with the assigned provider, he or she may request a change at any time by calling customer service. 43. What action is the plan or the IPA/MG taking to have online eligibility, administrative changes, referrals, etc? Aetna: We participate in the Work Group for Electronic Data Inter-change, the Computerized Patient Record Institute, and the American National Standards Institute. A monthly eligibility file is provided to IPAs and Medical Groups. Blue Shield of California: Our website has a password-protected section with personalized member health plan account information. Members can view detailed benefit information and find customer service phone numbers and addresses. Via e-mail, they can reach customer service, submit changes to account information, request new member ID cards, download claim forms, and request a new personal physician. Blue Shield can offer online enrollment to all our employer groups through our partnership with leading online vendors. This partnership gives benefit administrators direct access to the eligibility system as set up by the vendor allowing for functions such as employee eligibility tracking, plan enrollment, open enrollment, and life event enrollment transactions. Additionally, the use of an outside vendor allows for incorporation of benefit design from more than one carrier, providing employer groups with a single online enrollment service. Cigna: Cigna recently enhanced our website for health care professionals, offering easy access to online eligibility, detailed benefit information, claims tracking, and a new claim coding disclosure tool, which offers an immediate response to inquiries. For customers, myCigna.com offers online eligibility tools, claims support, and other tools that allow people to select or change their PCP and get personalized medical information and quality data about health care professionals. In addition, CignaAccess.com provides a single point of access to online tools and services to help make benefits administration easier. CignaAccess.com is a resource for employers in employee support, benefits administration, and security administration. Health Net of CA: At www.healthnet.com, providers, members, employers, and brokers can perform wide-ranging administrative functions, including eligibility verification. Health Net has online bill payment available through its web-based employer portal. Employers can verify employee eligibility and benefit information, manage enrollment and billing transactions, and print and pay bills online. For brokers, Health Net’s broker site provides online applications, product and rate information, provider directories, email access, and more. Providers can view member eligibility, copays, medical policies, claim status, authorization status, and more. Members can access secure information about their coverage, correspond with Member Services, order ID cards and forms, file grievances, change addresses, check eligibility/benefits, change PCPs/ PPGs, view a pharmacy drug list, search for providers, look up information for their specific needs, get pharmacy refills, and more. Members can also connect to their www.healthnet.com online account via Health Net Mobile, which is available for iOS and Android platforms, as well as a mobile-based version of the application. Kaiser Permanente: Eligibility files are processed by our extensive online system maintained by our California Service Center in San Diego. Account representatives update membership online via electronic media files from purchasers. Nightly bulk transmissions from all claims and membership systems supply membership eligibility information to other clinical systems as needed. United Healthcare: PacifiCare providers can check eligibility and claim status; print common forms; and view the specialty referral list at www.pacificare.com. We offer a paper and electronic referral process. In California, providers can access iExchange via the Web for electronic preauthorization requests and hospital admission notifications. The process varies for networks that are delegated and managed by contracted providers. Some providers have electronic referral systems in their own specialist network and others use paper submission. We do not track electronic referrals for these providers since they track these statistics internally. 44. How has your plan changed from last year? Aetna: Our CA HMO plan now reflects all PPACA/HCR requirements. Blue Shield of California: Blue Shield’s mission of ensuring quality, affordable care for all Californians has driven us to the forefront of the industry in developing and implementing value-based programs that improve cost and healthcare quality. Building upon the success of our innovative Accountable Care Organizations (ACO) in Sacramento, we have developed 7 additional ACOs throughout the state (now covering more than 140,000 members) and continue to expand the program. Additionally, in line with our mission and our early advocacy of health reform, Blue Shield is proud to announce that we have been approved as a participant in Covered California and are preparing for its implementation. Cigna: As provisions of the Affordable Care Act go into effect for non-grandfathered plans, we make changes to be in compliance with the new law. More information is available on our “Informed on Reform” website on Cigna.com, including FAQs for brokers, employers and customers. The principles of the patient-centered medical home are the foundation of Cigna’s collaborative accountable care initiatives. Cigna then builds on that foundation with a strong focus on collaboration and communication with physician practices. Cigna has 66 collaborative accountable care initiatives in 26 states, encompassing more than 700,000 commercial customers and more than 27,000 doctors, including more than 12,500 primary care physicians and nearly 14,500 specialists. Cigna launched its first collaborative accountable care program in 2008 and its goal is to have 100 of them in place with one million customers in 2014. Collaborative accountable care is one component of the company’s approach to physician engagement for health improvement, which also includes Cigna-HealthSpring’s care model for Medicare customers. Taken together, these 231 programs in 31 states reach more than one million customers and have nearly 55,000 participating doctors, including nearly 19,000 primary care physicians and nearly 36,000 specialists. Cigna offers an integrated digital engagement ecosystem of guidance, tools and information designed to make health a fun and interesting part of everyday life. Health Net of CA: Health Net made a decision to invest in the modernization of a new Customer Contact Center Desktop Application. The new application delivers the ultimate customer experience by providing a single integrated desktop and a consistent workflow across all lines of business. Health Net analyzes the A&G experience of its each of its PPGs, evaluates it against network benchmarks, identifies actionable trends, and educates and works collaboratively with outlier PPGs to reduce A&G along with associated denials and denial overturns. Health Net entered into an expanded partnership with Alere Health and launched a suite of integrated health and wellness programs designed to impact the primary drivers of cost: fragmented care, waste, and individual disengagement in personal health. • Kaiser Permanente, as of 1/1/2014, is participating in Covered California, the marketplace exchange for individual and small group purchasers. United Healthcare: There are no significant changes to the general plan structure from last year; however, there is flexibility on how plans are quoted. Clients requesting customization work closely with their broker to determine the best possible options for their company. “I want to hold your hand.” The title of this famous Beatles song should be the mindset of today’s brokers as they help existing and prospective clients through Covered California – the new state health care exchange resulting from the Affordable Care Act (ACA). The new law has created some new opportunities and more choices, but it will also take greater expertise and guidance. Small business employers need help navigating the exchange and understanding how their choices affect benefits, administration, and costs. The traditional role of a broker as a shopper (comparing carriers, plan designs, and price points) has evolved into the role of helping clients develop optimal benefit strategies. This includes helping employers avoid potential tax penalties, determining the most value for their business and employees, and maximizing employer sponsored wellness initiatives. With the launch of the SHOP exchange, small firms can offer employees access to multiple carriers and a range of plan designs and networks. Until now, that level of flexibility was only available to large employers. • 90% of small businesses in California have fewer than 20 employees. • 75% of small employers in California use a broker, and 88% of those firms value brokers’ opinions. • 43% of small business owners would prefer to use a broker to purchase coverage through the exchange. • Half of small firms use an advisor for business or personal needs regardless of whether they offer benefits to employees. • 84% of small businesses that offer benefits have an advisor review plans to ensure that rates are competitive rates and services are current. • 94% of small business respondents say that their need for an advisor will stay the same or grow within the next two years. There has been a great deal of discussion about the Affordable Care Act in the news and adherence to the 10 essential health benefits required to be compliant with the ACA’s market reforms. Many sellers of employee benefits are unsure about how it will affect how they approach small businesses and how benefits are sold. Brokers need to inform applicable clients about two sweeping changes — the first affecting tax credits, and the second affecting dental insurance, which has been largely ignored by mainstream media. The following are important details to remember about each of these changes. • The credit is available to employers with fewer than 25 employees and average annual wages of less than $50,000. • The full credit is available to employers with 10 or fewer employees and average annual wages of less than $25,000. It can be up to 50% of the employer’s contribution toward the employee’s health insurance premium. • The credit decreases with the increase of the firm size and average annual wages. • There is a separate, reasonable out-of-pocket maximum for stand-alone dental plans. For California, the out-of-pocket maximum has been established at $1,000 for one child and $2,000 for two or more. • Medically necessary orthodontia has been included. • On the exchange, stand-alone dental carriers can satisfy the pediatric dental component of the required 10 essential health benefits. And stand-alone dental plans must meet actuarial value equivalents of 70% or 85% for the covered pediatric oral services. • Off the exchange, a medical plan cannot be considered a certified qualified-health plan without including pediatric oral services as part of the medical plan. However, since there is no requirement to maintain a separate actuarial value for the pediatric oral services, it is possible for these benefits to be first subject to a significant deductible. As a broker, it is crucial to understand how the coverage offered within a medical plan works since it will drive many of your recommendations. For example, if the medical plan covers preventive services in full (i.e., 100% covered with no or a small deductible), it may make sense to carve out the pediatric preventive services from the stand-alone dental plan to lower the plan-holder’s cost and limit coordination of benefit issues. On the other hand, if the services covered by the medical plan are subject to the standard medical deductible, you may want to recommend that your client continues offering a separate dental plan that does not need to include the EHB benefits or be exchange certified. Please be aware that brokers cannot provide services on behalf of, or claim to be affiliated or represent Covered California, until they have a completed certification and have a completed agent agreement. While the SHOP solution may not be right for every client, it does provide affordable options for business owners seeking to enhance their benefit package. Brokers can illustrate the value of plan comparisons, predictable costs, easier administration through combined billing and more employer control. With a virtual marketplace now established, brokers can promote access to more quality products that have been limited off the exchange, such as full dental insurance for small businesses. Brokers can add great value to the small business owner who wants to enhance benefits, engage employees, and manage administrative time and expenses — by holding their hands through what could be a challenging process. For additional information and resources about Covered California and how to get certification, brokers should visit the state website: www.coveredca.com. Chris Swanker is vice president of Worksite and Specialty Markets at The Guardian Life Insurance Company of America, New York, NY. He can be reached at Chris_Swanker@glic.com. Private Exchanges – More Than Just Vanilla! Media attention is focused on uninsured Americans who are selecting their health plans through the new state-based and federally facilitated marketplaces. But a more significant change is underway among private and public sector employers. The new public and private exchanges will fundamentally change how health care products are sold, bought, and paid for. Driving this change is the promise that the exchanges will eventually lower the rising cost of health care and bring the power of market competition to a more educated health care purchaser. Key to this promise is a user-friendly transparency tool, along with licensed insurance agents or other benefit advisors, to help consumers learn, compare, and select from a growing array of health care products. The use of defined contribution approaches in these exchanges is also changing the way consumers select and pay for their health care by providing greater control of how they allocate their health care budget. Do Health Insurance Exchanges Work? In 2003, President Bush signed the Medicare Modernization Act, which brought affordable prescription drug coverage to millions of Medicare beneficiaries. Core to the new law was the Finder Tool on the medicare.gov website, which was essentially the first public exchange. Similar to the Affordable Care Act (ACA) exchanges, millions of Medicare beneficiaries used the Plan Finder tool to find, compare, and enroll in a plan. This market innovation exceeded expectations with plan premiums significantly lower than initially forecast. Transparency tools helped Medicare beneficiaries compare the total cost of plan choices including premiums, deductibles, and co-pays. It enabled consumers to select a new plan more confidently, bringing true consumerism into the equation. Ten years later, many of the hoped-for market innovations were not just met, but exceeded as the program is running more than $90 billion below initial forecast. What Are Private Exchanges And Are They Right For My Clients? Private exchanges are designed to meet the needs of distinct segments of the insured market. They offer a one-stop shopping and enrollment experience providing a list of plans and benefits for consideration, pricing, selection, and enrollment. The goal is to help contain costs while providing more choices in how people should be spending their own money, employer-provided defined contribution, or federal subsidy (i.e., advanced premium tax credit). Private exchanges are not just about reducing cost, but also about educating the consumer on how to shop effectively and pay for health care products. But no single private exchange model will work for all of the 162 million insured Americans receiving benefits from 5.7 million employers. Instead, private exchanges will differ by employer size (large, mid and small group), census (active/retiree, full- or part-time, high or low wage workers,) and products (e.g., individual, group, Medicare, other). How Can Brokers And General Agencies Participate In The Private Exchange Market? Brokers and general agencies (GAs) serving the small group and mid-market employers are in a unique position to help the roughly 100 million lives in this segment to become better health care purchasers. Contrary to some industry analysts, I believe that brokers and GAs serving the small group and mid-market employers are not in decline. They have the opportunity to innovate by using private exchanges that take advantage of new product offerings and funding methods. Employers and their employees will have more product options, more places to shop for these products, and more funding sources than ever. Brokers should embrace private exchange solutions and introduce them in order to remain knowledgeable and trusted advisors to their clients and prospects. New technology providers will make private exchanges more configurable and affordable than ever. Many of these information technology companies are expected to introduce new private exchange service offerings within the next year. 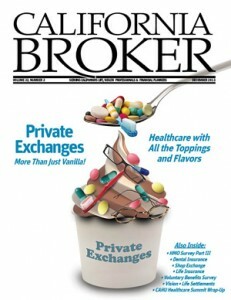 What Is The Broker’s Role In Private Exchanges? The vast majority of Americans receive health care from their employers. With the launch of the public and private exchanges, brokers are facing the reality that more of their clients will be insured than ever. Due to these dramatic changes, what are brokers to do? Be relevant, productive, and patient as you introduce private exchanges to your clients and prospects. Brokers and GAs need to stay relevant and provide solutions that will help employers and their employees make better health care decisions. They must be able to quote, enroll, and service employers and their employees in plans across multiple exchanges. This includes the new state-based or federally facilitated exchanges as well as the more traditional product options. Broker relevance will be measured by their expert advice and access to as many products and exchanges as possible. The relevant broker in the post-ACA world must provide a comprehensive and tailored private exchange solution based on employer size, census, and wage level of its employees. Brokers should begin by evaluating and investing in new sales automation tools. New tools that are coming to market can provide robust quoting and enrollment by integrating with public and private exchanges as well as with health plans. Technology companies are being certified as web-based broker entities, allowing them to connect directly to the federally facilitated exchange. This allows them to confirm eligibility for the Advanced Premium Tax Credit and allow direct enrollment in a private exchange. Once completed, these technology companies will bring to market robust quoting and enrollment capabilities that are fully compliant with regulatory requirements. Until then, brokers should begin assessing which clients and prospects could benefit from a multi-carrier and multi-exchange private exchange solution. Small and mid-market brokers can begin introducing private exchanges to help clients and prospects realize the cost containment and consumerism benefits that private exchanges can provide. Arriving from a variety of vendors, brokers and GAs will have affordable private exchange solutions available in the market before next year’s open enrollment period. By evaluating their client needs now, they will be able to properly determine which solution is right for them. Michael Cho is the Chief Innovation Officer of New Markets at Connecture, a Wisconsin-based company that makes the information systems most of the nation’s largest carriers, and more than half of all Blue Cross & Blue Shield plans, use to sell, administer and manage their products online. Connecture is also supplying the systems consumers use when shopping within the public health insurance marketplaces in the District of Columbia, Maryland and Minnesota in accordance with the Affordable Care Act. The company’s DRX division also powers the Medicare.gov PlanFinder and Online Enrollment Center millions of Americans use to make their Medicare decisions. Brokers who are selling small group health insurance this year have been confronted with a number of questions from their employer clients who are trying to understand the full meaning of the Affordable Care Act (ACA), health insurance exchanges, and the potential impact on their businesses. In all likelihood, these questions will continue into 2014 as business owners look for a health benefit solution that makes practical and financial sense for their firms and their employees. When it comes to purchasing health benefits for a company, small business owners here in California have three distinct options from which to choose: the government marketplace, a single carrier, or a private exchange. What complicates the decision-making process even further is that rates and benefits for all three options are now very similar, so what employers and employees have relied upon to make decisions are no longer valid. This change in the marketplace makes brokers even more important since they will now need to help employers understand what characteristics are important to consider, such as access to full and limited provider networks and the differences between these options. Private exchanges provide an ACA-compliant alternative to state exchanges and allow employers to define their financial contribution to employee benefits and avoid potential penalties while offering a wide range of carrier and plan design choices for employees. More than simply offering an alternative, though, there are meaningful differences between public and private exchanges. One of the most significant differences is that private exchanges may offer more than basic health coverage and include options for additional employer-sponsored or voluntary benefits. In some cases private exchanges may even include products or services at no additional cost. A private exchange will look at the needs of a small business and offer products and services that meet those needs. These might include access to ancillary benefits like dental, vision, life, and even chiropractic coverage, which are core to a well-rounded program. Other services may be more administrative focused like payroll services and Cal-COBRA or Federal COBRA support. And then there are simply the “the-nice-to-have” perks, which could include human resources support services, employee discounts, and prescription discount programs. It’s important that brokers highlight these additional benefits when presenting a private exchange solution to their clients. Private exchanges also work to offer an expanded portfolio of carriers, plan designs, and most importantly, access to provider networks including both full and limited networks. The most successful exchanges, regardless of public or private status, will offer carriers that can provide final pricing dictated by the depth of the provider networks offered to consumers. Insurance brokers who are speaking with their clients about small group solutions should be sure to take a careful look at carrier and provider networks in both the public and private exchanges as well as carrier-direct options. Given the emphasis that private exchanges are placing on value-added benefits and superior carrier networks, it is no surprise that The Institute for Healthcare Consumerism reports that enrollment in private exchanges could not only meet, but also exceed, enrollment in federal and state exchanges in the next several years. These predictions say by 2017 private exchanges will have gained enough momentum to equal public exchange enrollment; their potential is so significant that by 2018 private exchange enrollment is expected to exceed public exchange enrollment by 10 million members. • Reach out to your block of businesses and surrounding businesses and start the conversation. Small businesses have questions, but they may not know what to ask. You can help. Building your business is largely dependent upon differentiating yourself from the competition. You do that through proactive customer engagement; reach out to a business before they work with another broker and assure them you can help them stay compliant and offer quality, affordable benefits to their employees. That’s how you win. • Establish an online presence where the millions of Americans looking for health insurance can find you. This is a huge factor to growing your business. It’s no surprise that consumers increasingly go online to shop and compare before they pick up the phone or make a purchase. That means that if you’re not representing your services where business owners are looking, you’re doing yourself a disservice. Partner with a company that can build you a website where potential customers can shop, compare plans, and quote online. Ensure that whoever you work with on your website optimizes it so you’ll be found when businesses in your area are doing their research. • Partner with private exchanges that have experience working with the business community, as well as brokers. Our industry will see many new exchange options in the market, but these new products will follow the lead of the more established programs that have set the tone for years. Reach out to an established private exchange and find out how they can help you get the training, resources, tools and service you need to grow your business. After all, with the stakes so high, there is no time for a long learning curve. Ron Goldstein is president and CEO of CHOICE Administrators, the nation’s leading developer and distributor of health insurance exchange programs. Among its programs is CaliforniaChoice, the small group private exchange that helped pioneer the exchange concept in the 1990s and today serves more than 10,000 employers and 150,000 employees. Low interest rates can influence some of our most important decisions. Let’s say you’re looking to buy a new home or deciding whether to refinance your mortgage. A drop in the interest rate — even a fraction of a percentage — can spur you into action. The same holds true for companies that provide life insurance. Today’s low interest rates have triggered insurers that provide life insurance and annuities to make some important decisions. To understand how interest rates affect life insurance, let’s take a look at whole life insurance. Whole life insurance provides lifelong protection and the ability to accumulate cash value on a tax-deferred basis. If a client of yours buys a whole life policy, he or she is guaranteed a specific death benefit (as long as the premiums are paid on time). To make sure the insurance company can fulfill this long-term promise, the government requires that the insurance company maintain certain levels of reserves. These reserves are typically invested in bonds and mortgages. The government uses a formula to determine the amount of reserves the insurance company must maintain. Part of this formula is tied to interest rates. As interest rates decrease, the insurance company must increase its reserves to deliver on its promise to its clients. For whole life policies, interest rates and reserves also affect cash values, which are required to increase as well. As a result, insurance companies must make tough decisions about whether to raise premiums on new policies or take less profit on existing ones. Federal regulations regarding new interest rates take effect January 1, 2014. As a result of these regulatory changes, insurance companies will have to offer higher cash values if they choose to stop selling their old products and launch new ones. If already in compliance, they can choose to do nothing and simply accept less profit on their existing products. Most likely, you’ll see a lot of new life products being offered. And with the steady growth whole life insurance has enjoyed in the past several years, that’s a good thing. Whole life insurance comprised 31% of total life insurance sales in 2012. And the product shows a 9% annual growth rate over the past three years, according to LIMRA. • Fixed, level premiums that are guaranteed for life — This feature helps your clients easily plan for their expenses, knowing their premiums will never change. • Guaranteed cash value accumulation – Your clients are guaranteed to build a specific cash value amount over time, which can be borrowed from in the future for any purpose they wish. • Guaranteed death benefit – Clients can count on receiving a fixed amount upon their death to help pay for final expenses. Voluntary whole life products offered at the worksite can offer your clients a cost-effective way to expand their benefit program without incurring additional costs. Employee-paid whole life insurance allows employees to customize their coverage to meet their circumstances. And the need for life insurance for working Americans is great. Forty-three percent of U.S. adults don’t have enough life insurance, and 41% have no life insurance at all, according to a 2011 LIMRA study. Some carriers offer personal benefit counseling as a complimentary part of their enrollment process. This face-to-face education can help employees better understand their benefits packages. And since research shows that more than half of consumers prefer to purchase life insurance in person, through an agent, employees are likely to be very receptive. The knowledge offered through personal benefit counseling can also help overcome several barriers employees have to buying life insurance. Knowing what they’re buying is one of the most important factors consumers consider when purchasing life insurance, according to LIMRA. While 50% say getting the proper amount of coverage is important when making a buying decision, 43% also say they want to be certain that they understand what they’re buying. Cost is also a concern. Consumers tend to overestimate the cost of life insurance. When given the actual cost of a life insurance policy and asked how this knowledge affects their likelihood to purchase, one-third considered themselves more likely to buy. The personal service that a one-to-one counseling session offers can be very valuable in helping employees overcome their objection regarding cost. Through individual salary illustrations and the opportunity to ask questions face-to-face, employees can get the information they need to make more informed benefits decisions. Today’s economic environment affects everything around us, and life insurance is no exception. Be on the lookout for a whole host of new life insurance products in 2014 that will provide your clients with the financial protection they need. Kyle Rice is a territory sales manager for the Colonial Life & Accident Insurance Company. Colonial provides financial protection benefits through the workplace, including disability, life, accident, cancer, critical illness and supplemental health insurance. For more information contact Rice at (916) 512-1102, or email him at KRice@ColonialLife.com. Voluntary employee-paid benefits are becoming more and more popular as employers struggle to offer employee benefits amid rising costs and shrinking budgets. These benefits offer employees the convenience and the discounted rates that they would not have access to on the individual market. But how does a benefit broker choose which voluntary benefits to present to clients? This survey of insurance carriers helps California insurance agents and brokers stay on top of plan changes from year to year. Many of the survey questions came directly from insurance agents in the state. Aflac: Aflac’s policies, from accident/disability to vision, offer direct-to-the-policyholder cash benefits, unless otherwise assigned, to help cover what other insurance does not. *Certain policies may not be available in all states. There is no minimum participation requirement for our individual policies available through Aflac. We only ask that the client establish an account with us by completing and signing a Payroll Account Acknowledgement form and allowing three separate W-2 employees to apply for at least one of our policies. Aflac Group requires a minimum of 25 payors to establish group billing. Ameritas: Ameritas Group offers dental, vision and hearing on a voluntary basis. Dental and vision begin at two enrolled lives and hearing at 50; we also offer individual plans. Colonial Life: Colonial Life offers voluntary benefits to businesses with as few as three employees up to thousands of employees. Our product portfolio includes individual and group voluntary products for short-term disability, accident, hospital confinement, cancer, critical illness, and term, whole and universal life. Delta Dental: Delta Dental of California’s voluntary dental plans are for employers, associations, affinity groups and other trust organizations that wish to offer employee-paid comprehensive dental coverage. Delta Dental offers a variety of features and benefit plan designs that allow employers to offer our Delta Dental PPOSM, Delta Dental Premier and/or DeltaCare USA products to meet their needs. These dental plans have the same quality standards, cost savings and ease of administration as our employer-financed products. Plans are available based on a variety of premium contribution levels from fully employee paid to some level of employer contribution. Voluntary plans require a minimum participation of five primary enrollees. Health Net: Health Net offers voluntary dental, voluntary vision, and voluntary term supplemental coverage to groups of two or more. Voluntary supplemental is offered as a buy-up option to basic group term life coverage. • Workplace Voluntary Critical Illness Advantage offers benefits for vascular coverage and other critical illnesses – with some funds payable at initial diagnosis. All benefit payments are made directly to members, unless they specify other arrangements. Benefits are payable in addition to any other coverage they may have. • Workplace Voluntary Cancer Plan/Lump Sum Benefit plans provide cash payments to assist in covering a variety of expenses associated with critical illness. Humana’s Cancer Plan/Lump Sum Benefit is designed to help members cope with today’s economic realities by helping protect their finances in the event of a cancer diagnosis. • Workplace Voluntary Cancer Plus plans offer peace of mind when specialized healthcare, which often is not covered by health insurance plans, is needed. Cancer Plus benefits are reinstated each year to help offset the long-term costs associated with cancer. • Workplace Voluntary Supplemental Health plan offers additional coverage for everyday medical costs such as physician’s office visits and emergency room treatment. Humana’s Supplemental Health is designed to enhance existing medical coverage, and members are able to use their benefits right away. • Workplace Accident (Accident Plus) plans are flexible plans offering four levels of coverage, and provides members with off-the-job or 24-hour coverage for accident-related expenses such as ambulance services, hospital confinement, and medical treatment. Members receive benefits regardless of other in-force coverage, including primary medical insurance. Coverage also is available to the member’s spouse and children. This plan protects the whole family and has no calendar year maximums. • Workplace Voluntary Term Life/CriticaLife is a combination of life insurance and living benefits in one affordable policy. By accelerating all or part of the life benefit, members can use the money to help pay for treatment and coping with cancer, heart attack, stroke, or other conditions. Members can enroll at work with just a few simple questions; there’s no medical exam. • Workplace Voluntary Whole Life (Secure Life) offers permanent protection while living and a solid foundation to build a long-term financial plan on because it guarantees lifetime protection for members’ families. Whole life insurance can have a positive influence on current and future financial requirements. • Workplace Voluntary Disability Income Advantage plans provide non-occupational (off the job) coverage for disability resulting from injury or illness. The benefit can cover every day costs such as housing, food, car payments, and even additional medical costs. Disability Income Advantage gives members extra reassurance by providing coverage with cash benefits paid directly to members when they suddenly become disabled. • Workplace Voluntary Disability Income Plus plans provide a monthly disability income benefit due to a non-occupational “off-the-job” accident or sickness. Members can obtain this important coverage without a medical exam, at affordable group rates that can be paid through simple payroll deductions. • Participation requirements vary depending on the group and its size. • Auto & Home (employers with 500 or more employees); underwritten by Metropolitan Property and Casualty Insurance Company and its affiliates: Metropolitan Casualty Insurance Company, Metropolitan Direct Property and Casualty Insurance Company, Metropolitan General Insurance Company, Metropolitan Group Property and Casualty Insurance Company, and Metropolitan Lloyds Insurance Company of Texas, all with administrative home offices in Warwick, RI. • Group Legal (employers with approximately 10 or more employees) through Hyatt Legal Plans, Inc., Cleveland, Ohio, or, in certain states, underwritten by Metropolitan Property and Casualty Insurance Company, Warwick, RI and in Florida provided by Hyatt Legal Plans of Florida, Inc.
• Critical Illness (employers with 500 or more employees). VSP: We offer vision benefits for small (2-9), medium (10-499) and large (500+) companies. We also provide individual plan options directly to consumers, so we are available to anyone. 2. Do you have any benefit offerings for employees that work fewer than 40 hours a week? • Individual accident and short-term disability policies — Employees must work a minimum of 19 hours per week. • Group plans (all except disability) — Employees must work a minimum of 16 hours per week. Seasonal and temporary employees are not eligible for coverage. • Employees must work a minimum of 19 hours per week for group disability advantage. Ameritas: All our benefits can be reviewed and customized to accommodate work hours less than 40 per week. Colonial Life: Yes. All of our products are available to employees who work a minimum of 20 hours a week. Employees must be actively at work and permanent employees of the employer group. Delta Dental: Yes. The client specifies eligibility rules. Our voluntary plans are a solution to the benefit needs of part-time employees, retirees, association members and cafeteria plan participants. Guardian: Yes. Guardian benefits can be offered to employees that work less than 40 hours a week. Health Net: Yes. Health Net allows coverage for full-time employees working 30 or more hours per week. Humana: Yes. Many of our groups have associates who work 20 hours a week. We also offer solutions for various groups and classes within one employer group including long-term care (employers with approximately 10 or more employees) and vision (employers with 500 or more employees), through EyeMed Vision Care. MetLife: Yes, MetLife and its affiliates work with each employer to determine the eligibility requirements for the employee population. However, we also adhere to all applicable laws and regulations concerning eligibility, which, in some states, exclude those not working more than 24 or 30 hours a week. Unum: Yes, our offerings are available to employees who work 20 hours. VSP: Yes. Our plan does not have minimum participation or minimum enrollment requirements. In fact, with our support of enrollment through online tools and member communications, our voluntary enrollment trends higher than the industry average. For those clients with limiting eligibility we offer an individual plan that an employee can purchase directly. 3. Do you offer flexible enrollment data, billing capabilities and processes that work with the employers’ systems instead of the other way around? These services are provided to your clients at no direct cost to them. Through our SmartApp Next Generation software, we can process a large number of policies quickly and accurately. Business submitted through our software, located on our agents’ laptop systems, can be issued without human intervention (resulting in a 24-hour turnaround time). These services apply to our individual policies only. Aflac has the capability to transmit billing data to an account in a variety of different ways. Aflac agents will work with your client to discuss available enrollment and billing options and determine which options will best meet their needs. Ameritas: Yes. Our goal is to keep the difficulties of administration behind our walls. We offer many flexible solutions that work with our customers’ systems. Colonial Life: Yes. Colonial Life’s Harmony enrollment system is built to accommodate the many specialized needs businesses have for enrollments and data reporting. We can provide face-to-face enrollments at any business location and during any work shift. We can also provide employers with daily enrollment reporting, such as which employees have been seen and what they’re buying. This reporting capability allows employers to assess the enrollment’s progress daily and make any necessary adjustments. Colonial Life also has several convenient electronic services for businesses that allow them to receive their bills, make payments and adjust their bills, as necessary, online. Colonial Life also offers additional flexible enrollment solutions, including the ability to integrate real time with other benefit administration and HRIS systems. This allows users to enroll in their core benefits on a vendor’s platform and seamlessly bridge to our Harmony enrollment system and elect their voluntary benefits. We also offer the option to build out our group products on another benefit administration or HRIS system for qualified cases. Guardian: Yes. Guardian offers a wide range of enrollment options including electronic eligibility files, online and paper enrollment, as well as different billing options including online, paper and electronic fund transfer to meet the varied needs of employers and ensure ease of administration. Guardian’s online enrollment platform provides 24/7 online access, provider directories, a nationwide team of benefits counselors, a 24-hour employee benefits hotline, personalized enrollment kits and post enrollment support tools. Health Net: Health Net has a variety of enrollment and billing options, including electronic eligibility data transmission and Web-based tools. The company also offers a standard format for electronic eligibility transmission. If a client has a preferred format, Health Net will accommodate employers’ preferred formats whenever possible. For Medicare beneficiaries, Health Net uses paper enrollment applications. Humana: Our goal is always to put the customers’ needs first. Enrollment is accepted daily, weekly, biweekly, and monthly. Humana can accept electronic transmissions via the Internet, EDI, list enrollment spreadsheet, or via its hard copy enrollment form, which is scannable for loading into the system. The Internet, scannable application, EDI, or list enrollment spreadsheet are the most common vehicles for receiving eligibility information. The enrollment spreadsheet is an option for new and renewing groups, but it would not be utilized for ongoing enrollment. Ongoing enrollment can be supported by an EDI file, Web enrollment, or paper applications. Billing can be set up as a self bill or list bill and the client can remit payment via check or electronically online. MetLife: Yes, MetLife, for itself, and as the billing service provider for its affiliates, is able to work with virtually all types of payroll systems. Transamerica: Yes. We have paper and electronic enrollment. The latter consists of Translink, Common Census or Excel spreadsheeting of enrollment data. We also have Web bill, self-bill and paper bill. TransApp is our proprietary web-based platform designed to make enrollments easier for producers and employers. VSP: Yes. We support several types of electronic eligibility submission including File Transfer Protocol (FTP) and SFTP over SSH, with or without PGP encryption. Our preferred membership file format is ANSI 834 “changes only.” You can also make real-time updates to your eligibility data online through the Manage Your Plan section on the Benefit Managers tab on vsp.com, or by phone. 4. Do you offer the flexibility to conduct enrollments through one-on-one benefit sessions, group meetings, call centers, and online self-enrollments? Aflac: Yes. We have the flexibility to conduct enrollments through each of the methods listed. However, the availability of each method is determined by the number of eligible employees. Ameritas: Yes. Ameritas Group offers many different ways to enroll depending on the needs of the customer. All options above are involved depending on the number of lives being enrolled. Colonial Life: Yes. Colonial Life offers a full spectrum of benefits communication and enrollment options, including group meetings, one-to-one meetings, call centers, co-browsing and online self-enrollments. Our national team of local, professional benefit counselors uses the Harmony enrollment system to educate and communicate benefits to employees face-to-face so they can make better benefits decisions. For hard-to-reach employees, we can offer the same benefit communication and education experience by co-browsing with employees on the Internet, meeting through a call center or setting up online self-enrollments. Delta Dental: For groups over 100, Delta Dental representatives are available to participate at open enrollment meetings and health fairs to provide information about our dental plans. We provide open enrollment support at no additional cost. Customized videos are also available in a variety of formats that explain the client’s benefit information and can be played at open enrollments or new hire orientations. Customer service is available to support questions about a plan’s coverage, but cannot accept enrollments. Enrollment is facilitated by the benefit administrator. Delta Dental gives benefit administrators access to an application that allows enrollees to select a benefit package online during open enrollment and update personal information online year-round. Guardian: Guardian offers the flexibility for employers to deliver a range of enrollment options to employees, including online self-enrollment and paper enrollment kits that can be personalized to each employee (in English & Spanish). In addition, Guardian offers additional support services, such as group meetings conducted by a certified enrollment specialist, toll-free benefit hotline in over 50 languages and turnkey employee communications at no additional cost to ensure the enrollment process is simple and easy for employers and their employees. Health Net: Health Net provides on-site support, including bilingual representatives, if needed, to help employer groups with new case and renewal enrollment meetings. Additionally, our Customer Contact Center is available to answer any questions from and prospective members and clients. Humana: One of our key selling points is the ability to offer comprehensive enrollment solutions. As part of Humana’s consumerism philosophy, our goal is to educate the employees about the products and services available to them and their families. A typical enrollment scenario may include payroll stuffers, enrollment posters, email blasts, then a face-to-face enrollment with the ability to capture any other associates through our call center or online enrollment capabilities. MetLife: Yes. MetLife’s simplified approach to enrollment leverages easy-to-use materials that help make the process smooth and drive employee engagement and participation. MetLife and its affiliates conduct enrollments/application processes through group meetings, our call center, and online. We work with the broker and employer to determine which enrollment/application channels will provide the best experience for a particular employee population. Transamerica: Yes. We offer all of these options. • Robust social media support across numerous channels including the opportunity for one-on-one interaction. • Collateral that educates on the importance of annual eye exams and how eyecare can affect your overall wellness. • Special activities to educate employees about eye health and protection. 5. Do you honor broker-of-record letters? Ameritas: Depending on the situation, we can honor them. Guardian: Yes, Guardian honors broker-of-record letters. Humana: Yes. Additionally, all of our broker contracts are vested. MetLife: Yes, MetLife will honor any written request from an authorized officer of a policyholder to recognize a broker or other intermediary as”broker-of-record” for purposes of providing such broker or other intermediary with information and/or paying commissions, provided of course that such request is not inconsistent with law or any in-force compensation agreement. VSP: Yes. We do honor broker-of-record letters from the client. 6. Do you offer simple and hassle-free account billing and payment processes? Aflac: Yes. Our goal is to make billing and payment of premiums simple and hassle-free for your client. Aflac’s systems are flexible enough to accommodate a variety of billing methods and handle almost any type of billing layout. Your client can be billed electronically, via paper, or your client can participate in Aflac Wingspan Online Services for accounts. Depending upon the billing method selected, your client will receive an invoice containing the premium amounts due for the policies of the employees participating in our plans. The payroll-deducted premiums for the employees may then be remitted to Aflac via check, wire transfer, or through an automated clearinghouse. Ameritas: Absolutely, our goal is to take the burden off of our customers. We listen to their needs, then enhance our billing and payment processes whenever necessary to make sure we’re meeting those needs. Colonial Life: Yes. Colonial Life offers many electronic services for businesses that allow them to conduct transactions online such as receiving their bills, making payments and making any necessary billing adjustments. • Payment — It provides a convenient and secure method for invoice payments with the option of paying invoices online or printing or mailing the remittance statement with payment. The benefit administrator can view and track payment history. • Group reconciliation — Benefit administrators can submit enrollee additions, changes, and terminations. Tools automatically compare a Delta Dental invoice to client’s remittance file. The administrator can view and/or download results and view of the line-item adjustment summary. Guardian: Yes. Guardian offers a range of billing and payment options from online to paper to electronic fund transfer to help meet the varied needs of employers and ensure ease of administration. Health Net: Yes, Health Net offers simple, hassle-free account billing and payment processes including Web-based tools to help our clients and their brokers. Humana: Once a case is sold, a dedicated account installation manager will implement it. Each case will also be assigned a dedicated billing representative who will ensure that the monthly bill is timely and accurate. VSP: Yes. A binder check is not required with VSP. We can provide monthly online billing as an option through the Manage Your Plan section on the Benefit Managers tab of vsp.com. Online billing will allow clients the option to view and/or pay monthly administrative statements. 7. Does your billing system allow plan administrators to make online deletions and changes to their plan account? Aflac: Through Wingspan Online Services for Accounts and Online Billing your clients can safely update, reconcile, and pay their Aflac invoice electronically. This automated service enhances accuracy, speeds transactions, and minimizes paperwork. Your client will save time and money as their electronically remitted payments and changes are processed faster. Colonial Life: Yes, Colonial Life offers online billing capabilities. A plan administrator also has the ability to make changes online, as well as update employees’ coverage and general information through our secure website. Delta Dental: Yes. Delta Dental’s online eligibility management system allows the clients’ representatives to add or terminate enrollees and dependents and modify enrollee information through a secure website in real time. Guardian: Yes. Guardian’s benefit Website offers a one-stop source for plan administrators to manage their account and request plan changes online, including submitting eligibility changes that affect their bill. Plan administrators have the flexibility to recalculate their bill online to take any eligibility changes into account so they can adjust payments accordingly. Health Net: Yes. Plan administrators can make most enrollment changes online. Humana: Humana does not currently have online administration for the proposed products. MetLife: Yes. Through our online billing system per pay period deduction amounts can be changed in accordance with each payroll run. Unlike the other group products, MetLife Auto & Home enrolls employees individually. The eligibility management tools also give clients control of the accuracy and timeliness of membership changes, which in turn helps ensure the accuracy of billing statements. 8. Does your billing/payroll deduction process make it easy for the employer to offer multiple products? Aflac: Employers are looking for voluntary benefit options that are easy to administer. Aflac offers many billing options designed to meet a variety of needs. Aflac provides invoices for payroll deductions after an employer makes them, which means they will never have to pay premiums out-of-pocket. Additionally, employers have access to Aflac Benefit Services, which allows them to manage their billing information faster and easier. They can view and update information, reconcile invoices, and submit service requests online, anytime. Aflac has also built flexibility into our systems so that we can handle almost any type of billing layout and accommodate several billing methods. Aflac can bill an employer electronically, online or paper. Payroll deducted premiums will then be remitted to Aflac via check, wire transfer, or through an automated clearing house. Ameritas: Yes. Making it easy to offer multiple plans is our expertise. Colonial Life: Yes. Colonial Life can enroll an employer’s core and voluntary benefits and provide the account with enrollment data on all employee elections in an easy-to-use spreadsheet. Employers can electronically submit this information through our secure website, and Colonial Life reconciles the bill to eliminate any additional work for the employer. Delta Dental: Yes. Delta Dental has several billing and payment formats available depending on the client’s plans and preference and will work with the client to determine the best process to meet their needs. The group sponsor is responsible for collecting the monthly premiums from enrollees and submitting eligibility data and payment to Delta Dental. Guardian: Yes. Guardian offers a single bill (online or in the mail) for all Guardian coverages a client has in order to ensure the payment process is easy to manage. Health Net: Yes, Health Net offers consolidated billing for medical, dental, and vision products so that they appear on a single statement. Life Supplemental insurance is billed separately. MetLife: Yes. MetLife can allow for a single voluntary benefit deduction for numerous benefits or separate deductions for each benefit on one single bill. Transamerica: Yes. We offer list billing. VSP: Yes, We can tailor payroll deductions to meet a client’s needs. 9. Does your system offer online searches for employee policy status, coverage effective dates and policy/coverage type? Colonial Life: Yes. The plan administration section of our website offers online searches for employee policy status, coverage effective dates and policy/coverage type. Delta Dental: Yes. Delta Dental’s online eligibility application allows benefit administrators to view and maintain coverage effective dates and coverage types, make real-time updates to eligibility data and improve the efficiency, accuracy and security of eligibility reporting. In addition, Delta Dental’s website, deltadentalins.com, provides useful features to registered enrollees behind a secure sign-on, including the ability to view benefits and eligibility information, print ID cards, verify plan deductible and maximum information, and view claims status and claims history. Health Net: Employees/members can confirm their coverage effective date and policy/coverage type online or by calling Health Net’s Customer Contact Center. Humana: The employee can go online to view any EOBs about any of the health-based products. Guardian: Yes, Guardian’s benefit Website offers a one-stop source for plan administrators to manage their account online, including look ups for an employee’s policy status, coverage effective date and policy/coverage type. MetLife: Our online billing system allows the employer to sort the bill by different criteria for group products. MetLife Auto & Home enrolls employees individually. The eligibility management tools also puts clients in control of the accuracy and timeliness of membership changes, which in turn helps ensure the accuracy of billing statements. 10. Do you offer downloadable claim forms? Aflac: Yes. Policyholders may download claim forms from aflac.com. They also get tips on expediting forms and a direct link for sending a message to our Claims Department. Aflac also offers SmartClaim, an online claim filing process. Colonial Life: Yes. Policyholders and plan administrators can download and print Colonial Life claim forms on the company’s website at www.ColonialLife.com. Delta Dental: Yes. However, our network dentists agree to submit claims on behalf of the enrollee and to accept payment directly from Delta Dental. The only time enrollees may be responsible for submitting a claim form to Delta Dental is when non-network dentists do not submit on the patient’s behalf. In these rare instances, the enrollee may download and print a claim form directly from our website. Guardian: Yes, Guardian’s benefit Website offers a one-stop source for plan administrators to manage their account online, including the ability to download claim forms or e-mail a claim form directly to someone. Health Net: Yes. Employees/members can find claims forms on www.healthnet.com. Humana: Yes. PDFs of all claim forms can be downloaded from the Website. MetLife: Yes, for several product offerings that require claim forms. In addition, MetLife Auto & Home accepts towing claims online in many states. 11. Do you require carrier reps. to have a comprehensive knowledge of all of the products they deal with? Ameritas: Yes. Our reps are subject matter experts on all products they sell. Colonial Life: Yes. Colonial Life has a 10,000-member national organization of benefits professionals. These individuals receive comprehensive product training through Colonial Life College on both voluntary products and the employer’s core benefits, at the employer’s discretion. One of our areas of expertise is helping employees better understand their benefits programs, uncover their unique insurance needs and select the coverage they need to protect themselves and their families from financial risk. Delta Dental: Yes. Throughout the year, we provide support through continuing education for consultants and brokers, such as lunch-and-learn presentations, CE courses and personalized support from our sales staff. Guardian: Yes. Guardian sales representatives achieve a high level of comprehensive knowledge of the Guardian products they present through intensive and ongoing training. Health Net: Yes. Health Net’s Sales and Account Management teams must have a comprehensive knowledge of all Health Net products that they offer and support. Humana: Yes. Each sales representative must go through an extensive sales learning academy, pass multiple tests, and continue to be accredited each year. MetLife: Yes. Our licensed representatives specialize in voluntary benefits and have extensive experience in designing benefit programs. Transamerica: Yes. We require study of all Producer Guides and signed acknowledgments from producers. Unum: Yes, we have an extensive training process. Sales reps are expected to have an extensive and comprehensive knowledge of our group and VB products. Their first year is dedicated to development, with a nine-month self-directed process of activities and testing. VSP: Yes. VSP expects our sales and service reps to be subject matter experts in vision care. We provide on-going training and support tools to ensure our reps have all the information they need. 12. How does your company support a good working relationships between brokers and carrier reps? Aflac: Aflac offers complete insurance broker training, personalized support, sales materials, industry leading tools, and competitive compensation. Aflac is not about ìonce and done.î We are committed to providing continuous training, to our brokers, on the latest news and information, and presentations on industry topics and continuing education. In addition, our internal insurance broker team is always available to answer questions and provide personalized support. Ameritas: Relationships are key with our brokers/producers. Our goal is to provide solutions they can offer our customers throughout the life of our relationship. Our service is not just at the beginning of a sale; it remains throughout the process and for the life of the case. This takes great relationship skills among all partners. Colonial Life: Colonial Life places a high priority on working with brokers to help solve their clients’ benefit challenges. Colonial Life has regional broker marketing managers who are dedicated to strengthening broker relationships nationally and regionally, supporting national alliance partners and interacting with worksite specialist brokers. Because of our dedication to broker marketing, brokers have named Colonial Life their top choice eight years in a row in a nationwide readers’ survey conducted by Benefits Selling magazine. Delta Dental: Delta Dental focuses on providing brokers and consultants easy access to their client’s data during the RFP and renewal process. We believe that we provide more hands-on service than any other dental carrier — both before and after the sale. Guardian: With one of the longest-tenured sales forces in the employee benefit industry, Guardian has a history of understanding the needs of growing businesses, which strengthens good working relationships. Guardian works to give brokers more ways to take good care of their clients. Our flexible and comprehensive product portfolio and responsive, personalized service give support to local relationships and help ensure client needs are met. Health Net: To support the needs of our brokers and reps, Health Net has a dedicated account management team. We give small business group brokers direct access to account management teams responsible for territory and broker assignment/relationships. Brokers also have immediate, toll-free access to the Account Management team during business hours. In addition, our Account Service Unit within Health Net’s Customer Contact Center can provide claim and benefit information quickly. Humana: Humana has a long history of strong relationships among brokers and our internal representatives. Brokers are integral to the success of our business and we provide opportunities, such as field advisory counsels, as a way for brokers to help develop the framework for developing new products and services that they believe are important to our employer groups. It is through these continued initiatives that we create a partnership between our sales associates, our brokers, employer groups, and the employees. MetLife: Our representatives work closely with brokers and consultants to help provide solutions that meet the needs of their clients. Transamerica: Corporate home office visits are regularly scheduled along with continuing education seminars, and sponsorship of educational workshops. Unum: Yes, Unum has strong relationships with its sales partners throughout the United States, with 40 field offices that provide local sales and service support. Unum provides broker training opportunities throughout the year, including CE course offerings; publishes a quarterly newsletter for brokers; and welcomes brokerage firms to its home offices for information sessions and tours of its claims and service operations. VSP: Strong communication between brokers and sales and service reps is key. We provide newsletters to keep brokers informed of changes and have frequent touch points with them to ensure their familiarity with our resources and training. We also keep brokers in the loop on client issues. 13. Do you offer marketing materials that are easy to present and simple for clients to understand? Aflac: Your client’s Aflac service team is dedicated to working with them to ensure that the marketing campaign they select best suits their employees’ needs. All benefit education material is provided at no direct cost to your client. Here are a few ways we can educate your client’s employees about our plans and services: posters, flyers, brochures, payroll stuffers, flash presentations, an account specific website, employer Website information, newsletter articles, and e-mails. Ameritas: Yes. Ameritas Group insists on providing marketing material that is easy to understand. This is maintained throughout all our material, including correspondence. As far as we’re concerned, insurance does not need to be complicated. Colonial Life: Yes. Colonial Life realizes benefits and insurance terms can be complicated. That’s why the company’s marketing materials are easy to understand. Simplified enrollment materials help employees better understand their insurance needs so they can make better decisions to meet their needs. Delta Dental: Yes. We have a strong commitment to educating all of our customers. For brokers, consultants and benefit administrators, Delta Dental sends regular email newsletters with dental benefit news and updates. Delta Dental also offers information online covering our products, dental benefit pricing and sales, an RFP submission checklist and a benefit administrator support guide. Guardian: Yes. From marketing materials shared with brokers to bound enrollment kits personalized to each employee and beyond, the foundation of Guardian’s communications are centered on being easy to present and simple for clients to understand. Health Net: Yes, Health Net takes great pride in the ease of use of our marketing materials. For example, Health Net has received tremendous positive feedback from brokers on “The Desk Topper,” a visual aid that helps small business group brokers better understand our full portfolio of plans. Humana: Yes. We have a comprehensive suite of materials that brokers can present to employers and another set of materials that are designed for the employees. Our research has shown that employees want benefits that are concise and easy to understand and our marketing materials reflect their needs. MetLife: Yes. We offer a broad range of materials that are easy to understand and demonstrate the value of voluntary benefits to employees. MetLife will work closely with brokers and their clients to understand an employer’s workplace culture, communications style and preferences. This approach, coupled with our experience and knowledge of proven communications practices, will help to ensure that the simplest and most effective communications are implemented. VSP: Yes. We review communication materials annually to ensure they are providing the best resource for brokers. Additionally we are always evaluating new pieces to make sure brokers have all of the tools they need. For example, we have multiple social media sites to help educate clients’ employees on the benefit of vision care. 14. How do you track the quality of the customer service you provide to employers? For example, do you set annual service goals and measure and report results? Aflac: We constantly measure our customer satisfaction level with policyholders and business accounts in a variety of ways, such as surveys and audits. We monitor satisfaction with the total Aflac experience as well as satisfaction with enrollment, claims and billing. Our customer service quality program is administered by the Administrative Best Practices Quality Department. Each major business function, (i.e. primary, claims, and specialty) is sampled monthly. Additionally, for quality scoring, Administrative Best Practices guarantees a minimum of five audits per month for each customer service center representative. All scoring and error trending are reported weekly, monthly, and quarterly to management. Our Internal Audit Department also conducts audits by line of business in addition to their annual assessment of internal claims controls. Ameritas: All Ameritas Group’s customer service is measured through metrics down to the individual customer service associate. The tracking is done through our own systems and is based on all the major drivers of satisfaction for our customers. All metrics are integrated into our associates’ salaries to assure common drivers of service. Colonial Life: Colonial Life provides superior customer service to all of its customer groups: brokers, employers and policyholders. The company sets internal annual customer service goals and results are measured quarterly. Colonial Life also works with independent research firms to conduct ongoing surveys of plan administrators and policyholders and reports those results through news releases and a quarterly service report card on its website. In addition, all employees who meet with a Colonial Life benefits counselor are asked to rate their one-to-one benefit counseling experience during their enrollment. Every account participating in the post-enrollment survey receives a report card with the survey results. • Satisfaction with Delta Dental, our benefit plans, the quality of our customer service, our claims processing. • The professionalism of the dentist and dental office staff and satisfaction with the treatment provided. Guardian: Guardian sets service goals, and tracks and reports the results each year. Health Net: Yes, Health Net sets goals and tracks performance against key service metrics. We also conduct customer satisfaction surveys about Health Net’s services and support. Information is also gathered on customers’ perceptions of other health care insurers to provide Health Net with competitive benchmarks. • Hold time: Hold time is encompassed in average handle time (the time is takes to service a call). The goal is to maintain a less than 30-second hold time. MetLife: We provide utilization and participation reports to employers at their request. We also monitor our customer satisfaction levels through our call center on an ongoing basis. Transamerica: We track customer service results according to average answer speed, abandonment rates, average turnaround time, and qualitative analysis. Annual goals are set, monitored and reported for performance improvement. Unum: We certainly set goals around responsiveness and accuracy of service. We also have a quality assurance program that checks to see if we delivered our services in a timely and accurate manner as well. Additionally, we survey customers several times each year to better understand how they view their Unum experience. SQM is a leading North American call center industry research firm “voice-of-the-customer” expert for improving organizations’ first call resolution, operating costs, employee and customer satisfaction. 15. Do you have an established local sales and service team that can provide critical service in the same cities that the broker’s clients are in? Aflac: Yes. Aflac is represented by more than 70,000 licensed independent sales agents and brokers throughout the United States. Our certified enrollers are available to service multi-location accounts and we have a national sales coordinator team to manage these relationships. Ameritas: Yes, Ameritas has both local and remote service teams to provide all critical service. If claims information is needed after hours, our customer connections department is open until midnight central standard time. Colonial Life: Yes. Colonial Life has a national team of nearly 12,000 sales professionals who provide local enrollment support and service for its broker partners’ clients. Many of the company’s accounts have thousands of employees in dozens or even hundreds of different locations across the country. Colonial Life’s sales representatives provide employers with valuable services at no direct cost, such as free dependent verification, WellCard discount program, wellness benefits communication and more. Colonial Life benefits counselors can meet with employees at each location and conduct individual counseling sessions with them. Because the benefits counselors are local, they can be on hand to help out with next year’s enrollment and any ongoing service needs. The goal is for the company’s benefits counselors to build strong relationships with employees in the account. Guardian: Guardian has local and regional sales offices nationwide to support the needs of brokers and their clients. Health Net: Yes, Health Net has several regional sales and service teams throughout California to support brokers and their clients. Humana: We have account executives in our Northern and Southern California sales offices, which can handle calls as part of our single point of service. Humana also has trained specialists within a central Customer Care team who engage in answering customer questions. We take pride in serving our customers. When a policyholder contacts us, they experience a compassionate specialist who provides accurate information in an efficient manner. Our specialists are empowered to assist callers completely, owning the situation until resolution. If necessary, this includes escalating to a leader or to another department to meet resolution as quickly as possible. Call volumes are tracked and reviewed monthly to ensure we are assisting callers effectively. Customer Care team functions are performed in De Pere, Wisconsin, where Customer Care specialists are available from 8 a.m. to 6 p.m., member time zone, Monday through Friday. The toll-free number for the Customer Care team is 877-378-1505. MetLife: Yes. We have representatives that specialize in voluntary benefits located in major cities throughout the U.S.
Transamerica: Not in the same city. We have local representation and a dedicated account manager for service support assigned to each region. Unum: Yes, Unum has 40 local sales and service offices located throughout the U.S. with four locations in California. VSP: Yes, We’re headquartered in California and have an Eastern Operations Center in Ohio. In addition, we have 25 regional sales offices across the country to provide local service. Colonial Life: Yes. Colonial Life’s national team of sales professionals has specialized roles they perform during the enrollment process. Sales professionals work with brokers and their clients to help develop voluntary benefit strategies that will help clients’ solve their benefit challenges. Account coordinators help manage the enrollment logistics and report. And benefits counselors meet individually with all employees to educate them on their benefits, help uncover any unmet needs and select insurance plans to meet those needs. Delta Dental: Yes. To ensure that our clients receive a high level of service, Delta Dental uses a team approach to provide prompt service and rapid response. A client’s team includes a sales account executive and an account manager. Together they are supported by account management associates. Guardian: Yes. Guardian has local sales representatives to help brokers with their marketing efforts, expert teams dedicated to supporting enrollment and administration programs, and customer services representatives available to serve the distinct needs of brokers and their clients. Health Net: Yes. Health Net has sales and service representatives to help brokers and their clients. Humana: Humana provides a dedicated team of account executives, renewal specialists, and account installation managers to each case. We realize that much of the work begins after the case is sold and our goal is to provide dedicated resources for our clients for the duration of the case. MetLife: Yes. Our sales and service teams work closely together to meet the needs of our brokers and customers. Unum: Yes. Unum has more than 500 sales professionals across the country, backed by a local service force of 1,000 professionals. The service team includes those who support Unum Enroll, our in-house enrollment team tha tsupports voluntary benefits enrollment for employer groups of fewer than 500 lives. VSP: Yes, we do have both sales and service reps.
17. Do you specialize in voluntary benefits? • A solid company reputation. • Industry recognized and rewarded claims and customer service. Ameritas: Yes. Ameritas has been providing voluntary benefits since 1990. We consider ourselves specialists in that arena because of our extremely high satisfaction levels from our customers and our constant systems evolutions to accommodate the needs of our customers. To specialize in voluntary benefits, we believe this is critical to achieve a win/win for all. Colonial Life: Yes. When Colonial Life was founded in 1939, it sold accidental death coverage to individuals. In fact, the company pioneered the concept of offering voluntary benefits at the worksite in the 1950s. Colonial Life has always marketed only voluntary benefits, and during the 75 years it has been in business, the company has developed strong expertise and experience in the voluntary benefits industry. Delta Dental: Yes. Delta Dental has more than 55 years’ experience providing non-voluntary, partially voluntary and totally voluntary dental benefits. Guardian: Voluntary benefits are an incredibly important part of our group business. Our insurance products include Dental, Vision, Life, Disability, Absence Management/FMLA, Accident, Cancer and CriticaI Illness that can be funded on a voluntary or employer paid/contributed basis. Health Net: Health Net does not specialize in voluntary benefits. However, Health Net does offer the types of voluntary plans that are most commonly requested by our health plan customers. Humana: Yes. Humana acquired Kanawha Insurance Company in 2007. Kanawha has been providing voluntary benefits for 50 years and is a licensed insurer in 48 jurisdictions. MetLife: Yes. MetLife and its affiliates make it simple, cost-effective and hassle-free to offer and administer voluntary benefit solutions that meet diverse employee needs and enhance benefits programs. Best of all, our expertise and tools streamline the process to deliver information effectively, simplify decision-making, and increase employee engagement and satisfaction. Unum: Yes. Unum is ranked second in inforce premium in the voluntary benefits market as reported by Eastbridge Consulting Group in 2008. Unum leads the voluntary market in sales of critical illness insurance as well as universal and whole life insurance. VSP: Yes, a significant part of our membership is voluntary. Members sign up because they find the VSP benefit incredibly easy to use and they value the low out-of-pocket costs when compared to other vision plans. These days, it seems that everyone is jumping on the wellness bandwagon. In fact, three out of four employers claim to offer at least one wellness program; one in four takes advantage of employee health risk assessments; and well over half provide at least one disease management program, according to the 2013 Kaiser Family Foundation and Health Research & Educational Trust Employer Health Benefits Survey. But crowded as the ride may be getting, it is well worth it — offering benefits ranging from lower health care costs, to improved productivity, to increased employee satisfaction and retention. Unfortunately, as employers continue to tap into the wellness trend, all too many are overlooking one important seat on the wellness wagon that still has plenty of room: the comprehensive vision benefit. This low-cost, value-add benefit can deliver very strong wellness outcomes, but only if employers structure the benefit correctly (customizing it to the needs of their employees) and take the time to educate their workforce on the importance of using their benefits for regular eye exams and the right eyewear to see and perform their best. This is something that does not happen enough. After all, 24% of employees don’t enroll in their vision benefit and 24% of those who do enroll, don’t use it, according to the 2012 Transitions Optical Employee Perceptions of Vision Benefits survey. The culprit behind these numbers is usually a lack of education. Consider that the same survey showed that just 13% of employees received information about the importance of eye health from their employers. This is why we aim to be very creative with our approaches to promoting vision wellness. When most people think about going to the eye doctor, they think about getting their vision checked and getting an updated prescription for their glasses or contact lenses. This is true and absolutely ties into wellness. It is hard to see well — much less feel well — if your prescription is off, even by a tiny bit. Employees can feel the effects of poor vision in many ways, especially if eyestrain and fatigue or headaches set in. But there is a preventive side to seeing the eye doctor as well. Many eye diseases are gradual or start with few or no symptoms. So, sadly, permanent vision loss can occur before an individual even notices a problem. Getting a regular eye exam is the best way to ensure early detection and treatment for eye diseases, which can, in turn, help to reduce medical costs down the road. Having a comprehensive eye exam is also a good way to detect underlying health issues, such as diabetes, high blood pressure and high cholesterol, and even brain tumors and certain cancers. Vision plan participants are three times more likely to get an annual eye exam than a routine physical. This reinforces that the eye doctor may be a more frequent or only point-of-contact that many employees have for preventive care, according to Human Capital Management Services (HCMS). I have also seen the eye doctor serve as an important second opinion when a primary doctor does not catch health issues. I recently spoke with a woman who had been told by her primary care physician that she had high blood pressure, but it was nothing to worry about. After going for a routine eye exam, her eye doctor noticed the high blood pressure and recommended she receive a second opinion. She was immediately put on medication! To gain the maximum return on a vision benefit, it is important that it include certain features that will have the greatest impact on an employee’s health and productivity. These include a comprehensive eye exam offered yearly and coverage of or discounts on lens enhancements that help employees see better. The higher frequency of the eye exam is critical because it ensures that employees’ eyes are being checked regularly so their prescriptions are up-to-date and they have a touch-point to enable early detection of eye and systemic disease. The attention to lens enhancements is also important because it means that employees are encouraged to wear eyewear like photochromics with anti-reflective coatings to reduce glare, which can help eliminate eyestrain and fatigue, and headaches, which are big drains on productivity. When setting up the structure of a vision plan for a particular employer, it is important to understand that employer’s population and specific culture. Otherwise, you will sell a product that will not be used, as it should because it doesn’t meet the needs of a specific population. By properly structuring the vision benefit for one of our clients with a high-stress, low-wage industry population, we saw participation rise in the benefit from 28% prior to our plan to nearly 60% after our plan was offered. We find that the easiest package to offer employees is a vision benefit embedded within medical, but we have had several of our self-funded clients ask to have the vision benefit pulled out separately because they want to limit their maximum out-of-pocket exposure under the Affordable Care Act. Either way, we focus on finding a way for there to be very little first dollar expense for the employee through zero or very low co-pays and high allowances for contact lenses and frames, and coverage or steep discounts for popular lens options. For many of our employers, we recommend plans that cover Transitions lenses fully for children and cover them for a minimal $20 co-pay for adults. We find that many parents care more about the wellness of their children than themselves, so this extra coverage for kids can encourage parents to see the eye doctor, where they can get attention for their own health as well. With an excellent vision benefit in place, the next equally important step is to help employers ensure utilization. Our wellness teams work closely with our clients to develop customized programs that address their largest health concerns for their workforce. We look at claims data to provide guidance to employers on what these priorities should be. Often, when we see high claims for issues that vision care can help prevent, address or manage — such as diabetes, cholesterol and even depression — we recommend specific strategies to increase use of the vision benefit. Each program is customized and usually contains a campaign component and an incentive component. The campaign is a series of educational pieces that explain the importance of a particular health behavior. We look to our vision plan provider for excellent content in this area, and work together to customize it to meet the needs of the workforce. There is also a free Vision Education Toolkit available through the Transitions Healthy Sight Working for You program, which includes a range of tools that address vision broadly or speak to the unique needs of various demographics. For example, for a workforce with a high female population, the newsletter on women’s eye health could be shared. For a population hard hit by the diabetes epidemic, there is a video of an ophthalmologist discussing the impact of this disease on the eye. We also tie vision into our incentive programs. These are based on “premium discount points,” which employees can earn by taking very specific steps that help them understand a health behavior more, thereby encouraging them to make changes. To promote overall nutrition, for example, we’ve put together a Veggie Tales program, through which employees must track the vegetables they eat for an entire month to earn a premium discount for the month. Similar incentives to earn premium discount points can be put in place for vision. We have a growing number of clients with concerns over productivity during computer work, which is not surprising considering that computer vision syndrome affects up to 90% of office workers, according to the American Optometric Association. Based on recent research into the link between screen time and sleep disturbances, there has been even greater interest in this area. Our incentive program related to this topic requires employees to track how much time they spend looking at computer screens, measuring how far a distance they are from the screen, etc. By simply performing these tasks, employees are prompted to think about the impact of vision on their wellness and performance. Premium point discounts can also be awarded for utilization of the company vision benefit itself. Finally, our wellness team is often called upon to provide wellness training for an employer. In addition to our own staff, we often call upon outside experts or our benefit partners to join us to present. Related to vision, we can have a vision plan partner visit the employer and provide education on the importance of preventive vision care during a wellness fair or health day. We also tie vision into other wellness presentations. For example, nutrition education is often in demand and “healthy sight recipes” can be shared while explaining the link between nutrition and eye health. While I am very proud of the progress we have made in integrating vision into overall wellness, there is still much more that can be done, especially in the area of analytics. Existing research is very compelling showing the impact of regular vision care to reduce health care costs and boost productivity, but the future will bring a drilling down of this industry research to the client level. We are working with a health analytics tool from Healthiest Employer, LLC that allows us to look at a client’s claims across benefits — spanning medical, dental, vision, pharmacy, worker’s comp and more — so we can identify and benchmark problem areas; implement our wellness campaigns and incentives; and watch the results. Such a tool should be sophisticated enough to recognize leading indicators of health problems so that steps can be taken to intervene, if necessary. For example, high claims for pharmaceuticals to treat depression may require further education on the importance of the vision benefit. There is a high correlation between vision loss and depression and vice versa. A population with a high propensity for diabetes should receive education and incentives for eye exams to check for and provide early treatment of diabetic retinopathy. Mark Lambert is the executive vice president for Conner Insurance, headquartered in Indianapolis, Indiana. The firm strives to utilize its distinct approach, provide quality products, deliver outstanding service and maintain its clients for life. Mark was a finalist for the 2012 Transitions Vision Benefits Broker of the Year award. Warren Buffett — the name of one of America’s most iconic investors connotes wealth and financial success. Most Americans have a lot of respect and admiration for Mr. Buffett’s achievements as a business magnate and philanthropist. Widely considered as the most successful investor of the 20th century, Warren Buffett is the primary shareholder, chairman and CEO of Berkshire Hathaway and consistently ranked among the world’s most wealthy individuals. Many investors would love to be able to acquire just one share of Buffett’s Berkshire Hathaway stock at the hefty price of $168,000 per share. Few would argue that it hasn’t been a good investment over the years. He is also known as a notable benefactor, having pledged to give away 99% of his fortune to charitable causes, primarily via the Gates Foundation. Buffett has always been philanthropic; perhaps this is one of the reasons why he invests in life settlements. Buffett ventured into this asset class almost a decade ago and recently purchased another portfolio of life settlement contracts totaling $300 million. Warren Buffett, along with other large institutional investment banks like Goldman Sachs, Merrill Lynch, Credit Suisse, and Deutsche Bank, have invested in life settlements not only because they help seniors, but also because the investment is immune to changes in interest rates and uncorrelated to fluctuations in equity, commodity, and real estate markets. In fact, numerous studies have shown that life settlements earned double-digit returns through volatile market conditions and geopolitical climates. When talking to clients about the investment, both perspectives should be explored. Investors who focus on the absolute returns and non-correlation of the asset class often overlook the benefit to the senior. Once the investor understands that the insured is using the extra money from the life settlement to live out their remaining days with dignity, they see the investment as not only an opportunity to earn superior risk-adjusted returns, but also as a humanitarian effort. Ken Morris has spent nearly 20 years in the life settlement asset class and is considered to be one of the veterans in the industry. He has raised several hundred million dollars of investor capital for the purchase of life settlement contracts. Ken authored, trademarked and copywrited the first training course of its kind for the life settlement industry, Viatical University. He was also responsible for starting his own Life Settlement Brokerage and also started a Licensed Life Settlement Provider company in 2004 with another partner and ended up securing a $225 million line of credit with one of Germany’s largest banks. He is currently director of Business Development for Reliant Life Shares in Sherman Oaks, CA. He can be reached at (818) 788-1904, or ken@reliantlifeshares.com. In part one of this series on affordable dental care, we posed the question of whether this animal even exists. The answer: Yes, it does. Those who go to market with the best product have the best opportunity to win the day in the dental care world. Those who do their shopping homework will end up with the best coverage. However, there are different options in today’s market and some new ones coming in light of the Affordable Care Act (ACA). A poll by Harris Interactive and HealthDay finds that 30% of U.S. adults with health insurance don’t visit a dentist because of the prohibitive costs. More than half of the uninsured needed dental care, but costs kept them away. With dental insurance, consumers typically pay a monthly premium and a deductible before insurance kicks in, but even after the deductible, “Policies vary widely on co-pay requirements. Some policies have no co-pay while others require the consumer to pay a substantial portion,” says Lou Geremia, president of InsureMe.com. Dental insurance plans often come with a coverage cap; meaning consumers are only insured for about $1,200 to $1,500 per year. Once the dental patient exceeds that amount, they pay out of pocket. Consumers who go the insurance route also get the benefit of oversight from their state department of insurance, which could prove helpful if they have insurance complaints. Individual dental insurance is similar to individual health insurance in that plan buyers can choose from managed-care options – a dental health maintenance organization (DHMO) or dental preferred provider organization (DPPO) – or dental indemnity insurance, also known as traditional fee-for-service insurance. Each option has its strengths and drawbacks, according to HealthInsurance.org. If given the three options, plan buyers generally make a choice based on access to particular providers, price of their premiums and deductibles, types of services covered, and annual maximums paid. With fee-for-service, you have much wider latitude on the amount of dental services you consume. Think of the managed care option like a personal trainer who makes those decisions for you. They may save you from some unnecessary x-rays, but you may have longer waits between checkups or reduced access to other services. With discount dental plans, consumers typically pay an enrollment fee and an annual fee of about $80 to $120 per year and get access to discounted services from member providers. Discounts can range anywhere from 10% to 60%, says Buddy Johnson, chief executive officer of DentalPlans.com, a discount dental plan provider. Because there are no deductibles or caps to worry about, consumers aren’t limited by the number of services they receive in a given year, and there’s also no paperwork to fill out for reimbursements. For those seeking cosmetic services, discount dental plans may be the way to go since they often cover cosmetic dentistry, while insurance plans typically don’t. Some of the same rules apply when it comes to selecting an insurance plan or a discount dental plan. Because the differences between plans are so great, it is important for the consumer to completely research and understand what services are covered before signing anything. It is also important to verify that any preferred dentist is part of the plan selected. And there are some very good inexpensive dental discount plans in the market. Dental discount plans are conspicuously different from dental insurance, according to Chuck Smith-Dewey, Founder of HealthInsurance.org. In fact, the first thing buyers need to be aware of is that dental discount plans are not dental insurance. These plans are more like buying a club membership with specified discounts for each procedure you may need. You always pay the dentist when service is performed; but with your card, you get a designated discount off the dentist’s rack rates, depending on the plan chosen and services rendered. Fifty-two percent wanted to have their dental bills paid, followed by whiter teeth (42%), no cavities (37%), healthier gums (33%), and straighter teeth (24%). Forty-five percent said their dental network helps them save money in lower out-of-pocket expenses. Thirty-eight percent said that having an extensive dental network means greater access to providers, more access to dental specialists, more services covered in-network (38%), and convenience of having a dentist nearby (36%). Naturally, for those who can afford dental insurance and can use the benefits without penalty, there are some very good carriers in the market that provide good coverage. Keep in mind that most Americans get their dental insurance through their employer even though, for the most part, the cost is purely voluntary. Very few companies provide employer paid dental as a health care benefit. Yet, if it works for you, buy it and use it until you reach your maximum for the year. In 2012, more than 187 million Americans had dental coverage, an increase of 11 million people from the previous year, according to a report published by BenefitsPro.com. This is the first time that enrollment for dental insurance has hit 60% of the U.S. population – a milestone year for dental care and insurance. The previous two years’ enrollment was at 57% of the population, up from 55% in 2009. The enrollment numbers come from an annual joint report from the National Association of Dental Plans and the Delta Dental Plans Association, which have been compiling numbers since 1994. Most of the reported growth in dental enrollment can be attributed to an increase in employment, researchers said. Additionally, there were three first-time company participants that provided data for this report accounting for about 1% of the total enrollment. Even without these additions, enrollment grew by approximately 5% in 2012. “The recent launch of the state and federally facilitated exchanges provides an additional avenue to expand dental coverage in future years,” according to NADP Executive Director Evelyn Ireland. The trend toward DPPO products is continuing among commercial products with 78% of all commercial dental benefits. The percentage of enrollees making some financial contribution toward their coverage was 99% for discount plans, 93% for DHMO plans, 94% for DPPO plans, but only 45% for dental indemnity plans. The population that gets dental benefits coverage through individual policies and products doubled from last year, up from 2.4% to 5%. Less than 0.5% of dental benefits are integrated with medical policies and 99.5% are provided under a separate dental policy. Additionally, other major companies have rolled out prepaid health cards, as reported in BenefitsPro. For example, with one option, cardholders load funds onto a free card that can be purchased online as an individual consumer, or through sponsored groups like employers, associations, and other organizations. Employers can use the card as a non-HRA type HRA and fund defined contributions to pay for dental work using the dental network, and employees get a discount for dental services with participating providers. The average savings is 36% from usual and customary rates, and the card is free to the consumer or organization. A nominal load fee is charged when funds are placed on the card, and it can be used right away. Having the card is a big plus for anyone considering the cost of dental care. There’s no doubt that dental care is important to maintain good physical health. Improving the oral health of people with chronic medical conditions such as diabetes, asthma, and cardiovascular disease can reduce healthcare costs, according to a study completed by United HealthCare this year. The UHC study compared the medical and pharmacy costs of individuals with six chronic medical conditions with the dental treatment they got to determine if there is a difference in total health care costs associated with varying dental treatments. Total average medical costs were lower across all chronic conditions for people who got periodontal treatment or cleanings, even after accounting for the costs of additional dental treatments. People with chronic conditions who got regular cleanings (at least three times during the three years) had the lowest healthcare costs of any other dental treatment group (i.e., infrequent cleanings, no cleanings). The savings were also significant for people who got regular dental care, but were not compliant with the recommended care for their chronic medical condition. Average annual medical costs were lower among the group receiving dental care. Many health care providers acknowledge that oral health is a vital component of overall health. Even the Surgeon General and the Institute of Health have touted that oral health is critical to good physical health. But according to Health Affairs online, when it comes to a major determinant of oral health – access to routine dental care – ACA falls well short in all three of the triple aims: lowering costs, increasing access, and improving health outcomes, mainly when it comes to adults. According to DrBicuspid.com, many Americans delay oral health treatment because of financial concerns or a lack of access to care. Consequently, preventable issues often become complicated ones before treatment takes place. A study published by the Journal of Endodontics stated inadequate insurance is likely a factor since access to care hinges on having dental insurance in the United States. As many as 25% of adults 65 and younger lack dental insurance, according to the Centers for Disease Control and Prevention’s National Center for Health Statistics. Meanwhile, the burden on Medicaid to pay for discharges related to dental emergencies has jumped 74%. Medicaid, in its current form, doesn’t cover dental care for individuals older than age 21. A few states have increased Medicaid dental coverage, but many have decreased or eliminated it altogether. So, the big questions are, who gets dental coverage, and how much is it going to cost? At present, there are a lot of players in the mix — the ADA and state dental associations, exchanges both public and private, politicians and lobbyists, the healthcare companies and insurance carriers, state governments and the HHS, agents and brokers, employers and employees, HR managers, individuals and families, dentists and large dental practice management groups, and the list goes on. At the end of the day, sticker shock for the ones who must choose what to do and where to go is going to happen soon. Amid all the confusion, let’s hope that the light at the end of the tunnel is a way out instead of an oncoming train. There are choices, but which one is the right one for your client? Whether they go with dental insurance or a dental savings plan, the writing is on the wall – dental is going to be completely voluntary for anyone who wants it. Gone are the days of employer-paid dental benefits. There are some good dental insurance plans in the market, and dental savings plans are an acceptable industry option for quality dental care. According to the National Association of Dental Plans, “The growth and popularity of discount dental plans is related to the scarcity of individual products offered by insurance plans and growing consumer demand to control dental health care costs. By creating an inexpensive vehicle to enable access to dental care, discount dental plans have successfully met the demand from uninsured, underinsured, self-employed, retired, temporary or part-time workers. But does affordable dental care exist? Yes, it does, if you know where to look. Don’t wait until the last minute to find the best plan for you, or your company. Those who go to market with the best product have the best opportunity to win the day in the dental care world. Those who do their shopping homework are going to end up with the best coverage. Mark Roberts’ professional sales background includes 30 years of sales and marketing in the tax, insurance and investment markets. Roberts is a licensed life, health and accident insurance agent in all 50 states and DC, for insurance products and discount health plans. He serves as Manager of National Accounts at Careington International Corporation (www.careington.com). Additionally, Roberts works with clients needing insured products (www.careingtonbenefitsolutions.com) in the US and discount dental and optical schemes in the UK (www.healthydiscounts.co.uk). Roberts has been writing a health care blog for the past five years, (www.yourbesthealthcare.blogspot.com), which is a topical weblog about various health care issues. He also regularly contributes articles to magazines for both medical and dental topics both in the U.S. and the U.K. You can reach him at markr@careington.com.